A 21 year old Syracuse University student athlete was found dead in a Times Square hotel after a night out with friends, and no one seems to know what happened! A promising student athlete was found dead in a Times Square hotel after a night of partying with friends. Sabrina Cammock, from Queens, New York, was discovered inside a room at the Hotel Edison just after 9am on Saturday while on Spring Break. 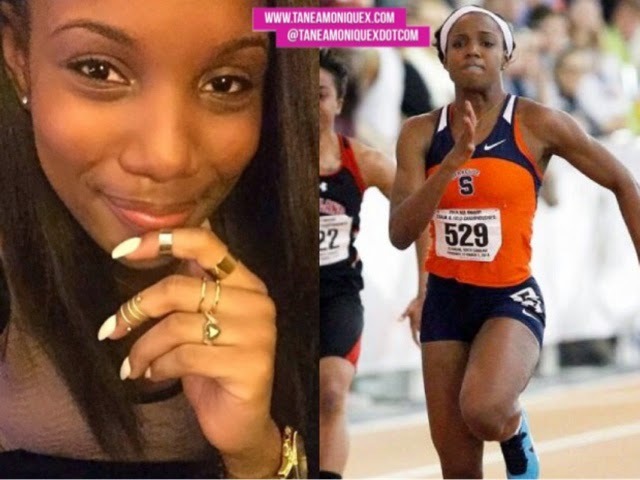 The 21-year-old, who was a member of the Syracuse University track and field team, was on spring break with a group of her friends. It was also reported that no drugs were found in the room and there were no signs of trauma on her body. Cammock was in her senior year studying public health at Syracuse’s David B. Falk College of Sport and Human Dynamics, according to her college website. On the track she dominated the 60-meter to 400-meter sprints and was part of a team of runners who broke her school’s 4×100-meter relay record last year. An autopsy has been scheduled to find out how she died, officials said.